The Kriega US20 DryPack is a twenty litre tailpack that can easily be attached to your bike and offers a generous amount of extra storage on your two-wheeled explorations. This versatile bag is fully waterproof thanks to its taped-seam liner and YKK zip. It attaches directly to the bike seat with the 4 included alloy hooks, making it a breeze to securely lock into place and take off the bike when needed. 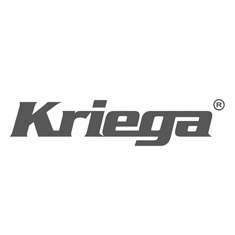 Removable shoulder and waist straps are included and can be tucked away in the pocket underneath the anti-slip mesh base.Kriega are so confident in the products they build that they offer a 10 year warranty. Rightfully so, because in all our years of selling their range, we've never had a single return.